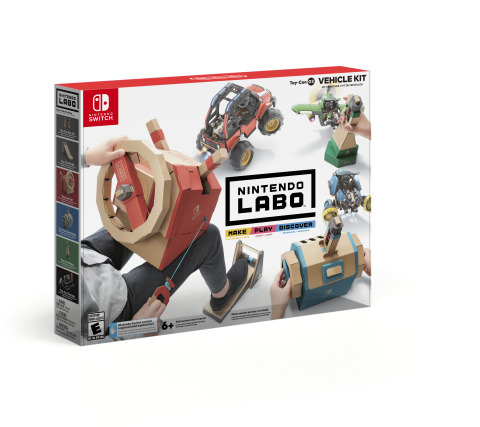 REDMOND, Wash.--(BUSINESS WIRE)--Buckle up for a new adventure while sitting in the driver’s seat of a car, a submarine and a plane with the Nintendo Labo: Vehicle Kit, launching on Sept. 14. 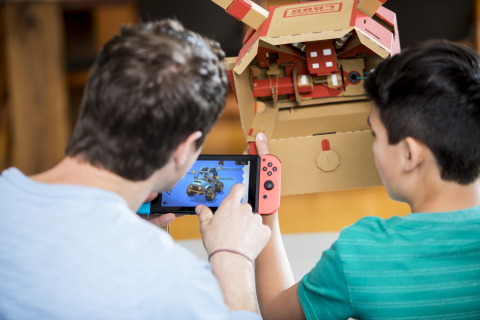 This new Nintendo Labo kit is designed to work with the Nintendo Switch system*, and contains materials to build a variety of customizable cardboard creations called Toy-Con, including a Car, a Submarine, a Plane, a Pedal, two Keys and more. By inserting one of the assembled Keys into any of the vehicles, players can enjoy a variety of fun games and activities. Changing between vehicles while adventuring is a cinch – simply pull the Key out of one and slot it into another to transform from an airplane pilot to a submarine captain! 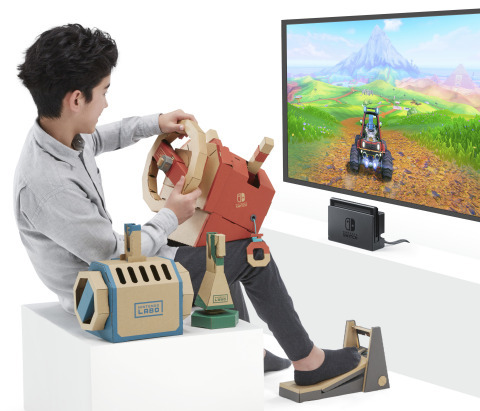 Buckle up for a new adventure while sitting in the driver’s seat of a car, a submarine and a plane with the Nintendo Labo: Vehicle Kit.